Whether you're looking for a holiday or just a weekend to relax and unwind, our guide to Suffolk Spa Hotels gives you some great options for planning a relaxing break. Health Spas in Suffolk offer a wide range of relaxing & indulgent choices from massage and gym facilities to full treatments for both the body and mind. The hotels mentioned also have the advantage of being set in fantastic countryside, sure to aid in the rest and relaxation process. So go on, discover the amazing options on offer and book a relaxing break today! Ufford Park Hotel, Golf, and Spa is the ideal destination for a relaxing getaway Spa break with your family. The Hotel is perfectly situated in the heart of the tranquil Suffolk Countryside and its excellent road links make it a perfect base from which to explore all the best that Suffolk has to offer, such as the nearby charming market town of Woodbridge and famous Anglo-Saxon burial ground at Sutton Hoo, stunning Constable Country and, of course, Suffolk's unspoilt heritage coastline. Ufford Park Spa offers a state-of-the-art Thermal Suite which comprises of a series of luxurious heating and cooling experiences, which when taken in conjunction with beauty treatments from their team of qualified therapists, means that they are regarded as one of the finest Spa's in East Anglia. Day Spa Experiences maximise the benefit of the beauty treatments by combining them with a visit to the Thermal Suite. There are a wide range of treatments so that no matter whether you are looking to relax, revitalise, or restore, Ufford Park's Spa can provide exactly what is best for you. There are also residential spa breaks for one or more nights for those looking for complete relaxation away from the stresses of everyday life. For bigger groups, they can also arrange exclusive access to the Thermal Suite--ideal for Hen Parties looking for something really indulgent and special celebrations such as birthdays and anniversaries. 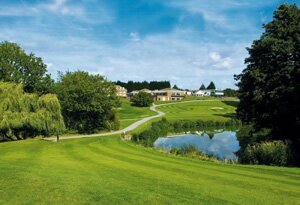 Bring your partner too - Golfers can enjoy Ufford Park's challenging 18 Hole Par 71 golf course! 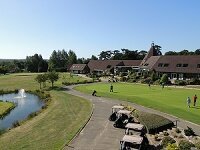 Many other activities and themed breaks are also available so check out Ufford Park Hotel, Golf, and Spa for booking information. 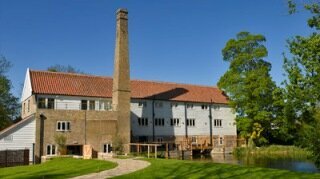 Lifehouse Spa offer fantastic tailor-made Spa Days & Spa Stays! You can stay in a lovely guest room with views of the gardens & courtyard, and choose from a huge range of relaxation, health & beauty treatments, plus make use of the gym, outdoor fitness circuit, Yoga & Pilates studio, swimming pool, thermal spa area, relaxation areas, manicure & pedicure stations, make-up bays, hairdressing salon and the spa boutique! Please click on the link above for more information. Situated in 300 acres of beautiful undulating Constable Country on the Suffolk/Essex border, Peake Spa at The Stoke by Nayland Hotel offers luxury treatments, exciting Spa Days and bespoke pampering days, along with pampering gifts. There are eight Spa Day options available to suit your individual requirements, all of which include coffee, tea or fruit juice on arrival and complimentary towels, robes and slippers. You will also be able to enjoy free unlimited use of the facilities - luxurious indoor pool, saunarium, steam room, Jacuzzi and concept shower.